Land at the airport of Palma de Mallorca with one of our buses waiting at the terminal to take you nonstop and direct to your hotel or home. We transfer any part of the Island of Mallorca. Sometimes for save some money or, just for take cheaper tourist packs, instead of traveling on cabs over the island, you decide to take the bus, yeah it’s not a big deal to take trips on a bus, plus, most of the tourists that arrive to the island take the bus, look at this way, you can appreciate more things and views that you might not for just taking a cab. We can deny that tripping on a cab it’s more comfortable, but make your travel with public or company buses can make differences, you can meet more people, and see more things, and sometime the bus driver or the company you hired can show you the island allowing you take more stops so you can take photos instead of being paying lots of euros of taximeter. How to hire a bus Package? Statistics say that Palma de Mallorca islands are one of the most touristic places on Europe, because most of people say that those islands are a little piece of a paradise like the Caribbean, with the most whitest sands and warm waters, where all the heavy thoughts disappears in just one deep breath of the salty wind of the shore. There are so many buses options to do the bustransfer Majorca where the first and most important thing is that you have to make reservations, because you don’t want to be taking desperate decisions in middle of your relaxing days. Imagine yourself in an airport searching for an agency or company that can find or set you some places where you can seat and go where you want to, with risks that passages to that place are sold out, it’s really stressful doing that and really obnoxious on your summer experience, so if you are smarty pants we recommend to you make some reservations weeks or even months before your come out from your house. You can lay down and get really relax about your belongings because those company will take care really good of them, the most significant object for the agency it’s that you can travel calm down and not being so stressful about the security of your stuffs, of course if you want tripper insurance you have to make an contract with the company acquiring these kind of benefits, in case that an accident can occur during the ride, the company has to respond for missing your suitcases or belongings. Of course the trip agency will locate you according to the ride pack that you paid for, if you decided go for basis, go for it, it’s cheaper, and you can spend that money on something else, but remember you’re not allowed to enjoy the same benefits that others who paid for a full package enjoy, but don’t worry about it, there are always cheaper offers, the only difference will be that you have to be smart and reserve the service months before so you can buy on lower prices than buying the same day you are leaving on your travel, so the lesson here is: don’t make last moment plans, those can ruin your trip. 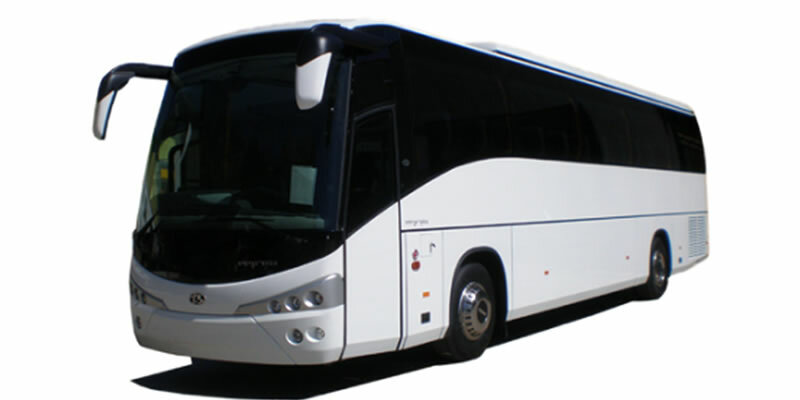 This bus transfer Mallorca, are one of the most comfortable, since their air conditioning buses and fluffy seats to the really good attention you get when you board to enjoy the best ride. The packages can go from a full trip around the island to some stops on the road and what better to do it if isn’t on a bus in Majorca, according statistics road trips on bus are more joyful than taking it on cabs, so if mathematics are right who are you to tell that they’re wrong? You will never get lost or miss your ways, because the bus driver knows exactly where you are going, and addresses askers are never going to knock to your doors or disturb your pleasant trip. The most common things on your trips are hiring or taking a car only for those holidays but there is a dark side about to drive by your own on a country where you are a foreigner, you might get lost, and most difficult is when you don’t speak the language, that’s a good reason and perfect excuse for taking a trip on a bus. But not everything is bad, maybe you are on your lucky days and you want to take risks and chances, so go for it, but you will never know what can happen. Otherwise you just fail on your plans, and the agency committed a mistake you can take a decision and go for other choices like take a bus at Mallorca airport, they are available 24/7 up to you just waiting to give you the best service you can imagine, other scenario it might be that you are a baggie people, in other words you are taking a trip without knowing your final destination, if you arrive to the airport and you don´t have any reservations or paid a package to transport yourself around the island your can of course take any airport Majorca bus. In any tourism trip you might need a person which can handle or speak good enough your language so you can understand directions or the rules you must follow during your road trip, because for your information these companies have some benefits you might need while your trip, since information and history about the island, meals, or snacks from those simple things, to having stops to buy things or take some pictures. You don’t have to worry about to have an accident or waiting for a crane in case your rent car got broke, most of companies have some bad service, and they delayed from 1 to 5 hours to get arrive the place you are, stealing from you valuable vacation hours. So as a conclusion take this little hacks when you decide to take a trip on bus, because if you don’t follow them, you most fail or not get all the fun you need or deserve during your summer relaxation days. And we recommend you go over Mallorca, is one of the most beautiful experiences.